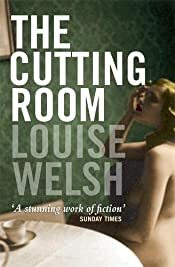 This entry was posted in Books and tagged crime fiction, Glasgow setting, Louise Welsh, Scottish author, The Cutting Room by Katrina. Bookmark the permalink. I have other books by Welsh (unread), but this book is one my husband is interested in also because of the photographs. We will be looking for a copy, with your recommendation. I hope you both enjoy it. I don’t have any more of her books but I’m sure I can get them from the library.